Rajasthan, the royal land of kings, palaces, forts and temples, is rich with the history of many powerful rulers. The culture and tradition of this state is heavily influenced by these rulers, which can be witnessed till date. These forts and palaces stand as a testimony to their great rule. While we all are aware of Jaipur, Jodhpur, Jaisalmer and other such popular tourist places, which are also filled with many intriguing places to see, it is common to miss out on certain small towns or villages. For all those travellers with a wanderlust, who are curious about offbeat and lesser-explored beauties of this majestic state, here are the places you need to visit. Since Rajasthan is a hot place in general, the best time to visit the state would be during the monsoon season, which falls between July to September. You can also visit Rajasthan during winter but the nights might get extremely cold. 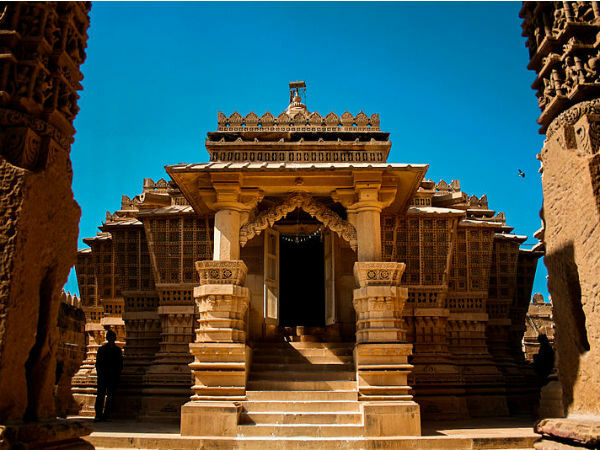 The village of Lodurva is located in Jaisalmer and is famous for the magnificent Lodurva Jain Temple. Bhatti dynasty used to rule Lodurva until 1156 AD. The main attraction of this small village is the Lodurva Jain Temple. This intricately designed temple is dedicated to Lord Parshwanath, who is the 23rd Tirthankara. It was ransacked in the 12th century but still remains a glorious structure ever since its renovation. Dausa is a district as well as a city that is located just about 55 km from Jaipur. Apart from the Getolav Bird Habitat, Dausa is home to Chand Baori, an ancient beautiful stepwell that is located in a village known as Abhaneri. You might recognise Abhaneri and the Chand Baori from the Bollywood movie Paheli, along with many other such movies that were shot here. The stepwell consists of 3,500 steps and over 13 storeys in total! Due to its equal proximity to the the three main tourist cities of Jaipur, Agra and Delhi, Neemrana is called the Golden Triangle. This ancient town is popular for the Neemrana Fort Palace that was constructed during the rule of Prithviraj Chauhan. Since the fort palace has now been turned into a luxury hotel, you can book a room here and live through a time you've only read in books or watched in movies! Bhilwara is a city and a district of Rajasthan that celebrates many cultural fairs and activities, such as Phool Dol Mela, Ganesh Mela, to name a few. Some of the lesser-known tourist places of the Bhilwara district are Bijoliya, Shahpura, etc. These places are home to numerous ancient temples and palaces, such as the Bijolia Mandakini Temple and Mahalo Ka Chowk. Jhunjhunu, a small town of Rajasthan, is popular for the beautiful havelis that consist of extravagant frescos that would surely leave you in awe. Apart from these, a must visit at Jhunjhunu is the Khetri Mahal, which is fondly known as Wind Palace of Jhunjhunu. The Khetri Mahal was built around 1770 by drawing inspiration from the beautiful Hawa Mahal of Jaipur, by Bhopal Singh. It is a less-explored site in Jhunjhunu and makes for a great shoot location if you're into moviemaking!